Canadian Prime Minister Justin Trudeau has promised to legalize marijuana by summer 2018. 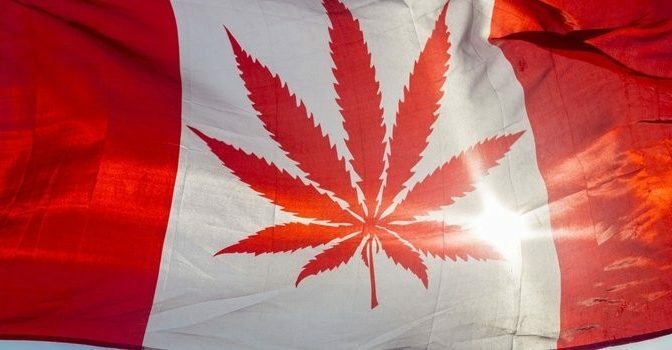 While marijuana has been directly linked to multiple suicides across the United States, the Canadian government refuses to recognize pot as anything but a harmless drug. 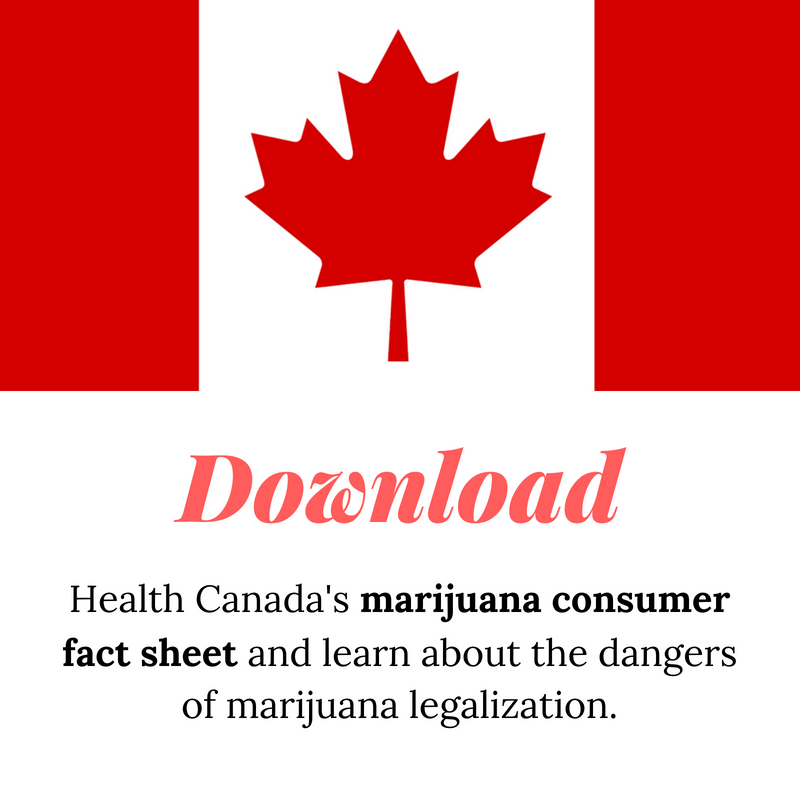 In response to Trudeau’s legalization plans, Health Canada has unveiled a marijuana consumer fact sheet, warning Canadians about the adverse effects of marijuana use. 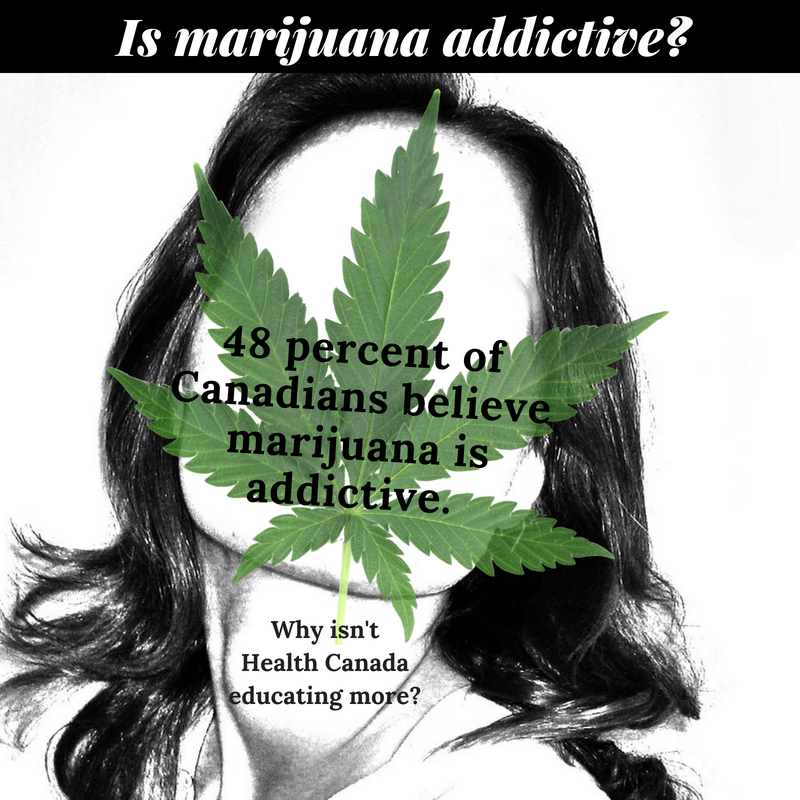 With legalization on the horizon ClearTheAirNow.org partnered with RIWI to survey over 1,100 Canadians from May 2 to May 12 and gauge their awareness of marijuana’s dangerous health effects, as previously reported by Health Canada. 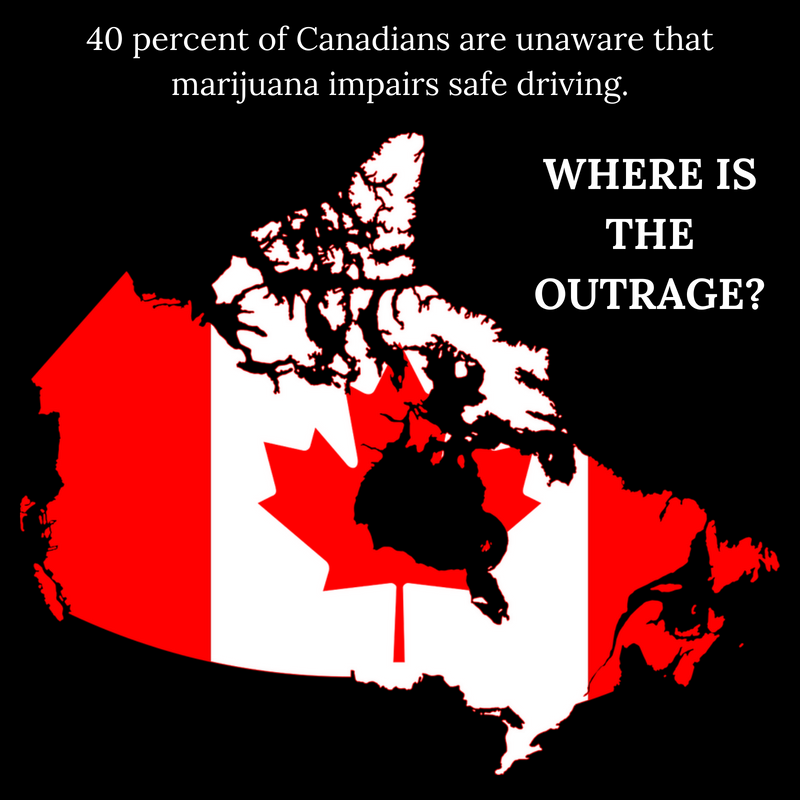 RIWI found that more than 40 percent of Canadians under age 25 are unaware that marijuana impacts safe driving. Far too many young lives have been lost to marijuana impaired driving for this to be acceptable. There were 3,335 marijuana-related U.S. driving fatalities in 2016. And marijuana impairment now comprises 24.2% of the fatal crashes in states that have legalized marijuana. Driving under the influence of marijuana significantly impairs motor coordination, judgment and reaction time. Given today’s highly potent marijuana, Canada should expect the same if not more fatalities attributed to marijuana impaired driving. Back in 2016 Health Canada declared that “long term use [of marijuana] may increase the risk of triggering or aggravating psychiatric and/or mood disorders (schizophrenia, psychosis, anxiety, depression, bipolar disorder). 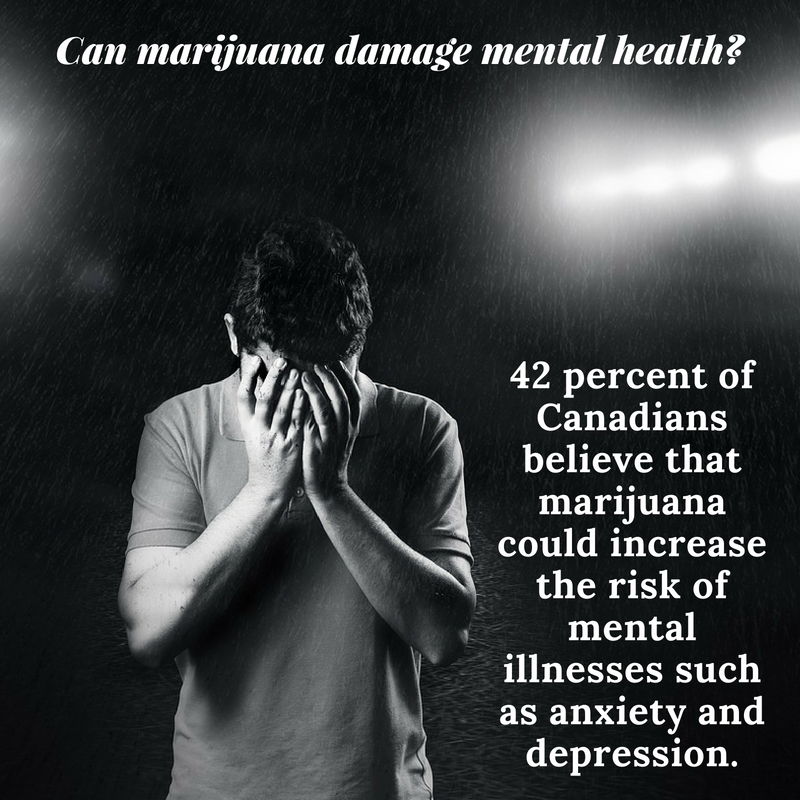 RIWI found that 42 percent of Canadians believe that marijuana could increase the risk of mental illnesses such as anxiety and depression, while 58 percent are unaware of marijuana’s long-term effects on the brain. There are studies linking marijuana use to an increased risk of schizophrenia, but yet most people just aren’t aware of the connection. What should be disturbing to Canadian families is the amount of psychosis cases treated just in Washington state — one hospital reports one to two new psychosis patients every day. Yet marijuana and mental health problems are nothing new. Since 2002, a series of European studies have reported that individuals who use cannabis have a greater risk of developing psychotic symptoms. The science is there and it’s time Canada wakes up to marijuana’s dangerous effects on mental health. Being pregnant can be an exhausting time in a woman’s life. To combat issues arising from morning sickness some expectant mothers are debating whether marijuana should be used when pregnant. 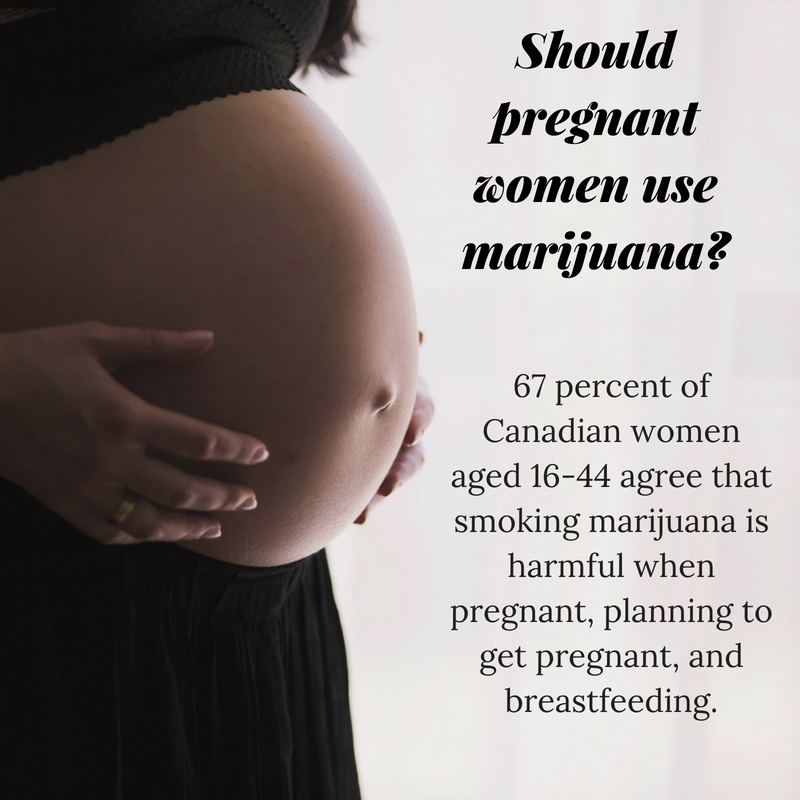 Author and Smart Approaches to Marijuana Canada (SAM-CANADA) representative Pamela McColl explains why marijuana use during pregnancy may have detrimental effects on the child, and why it should be avoided during this time. Recent research finds that 67 percent of Canadians believe consuming marijuana when pregnant, planning to get pregnant or breastfeeding is harmful — a claim backed by science. 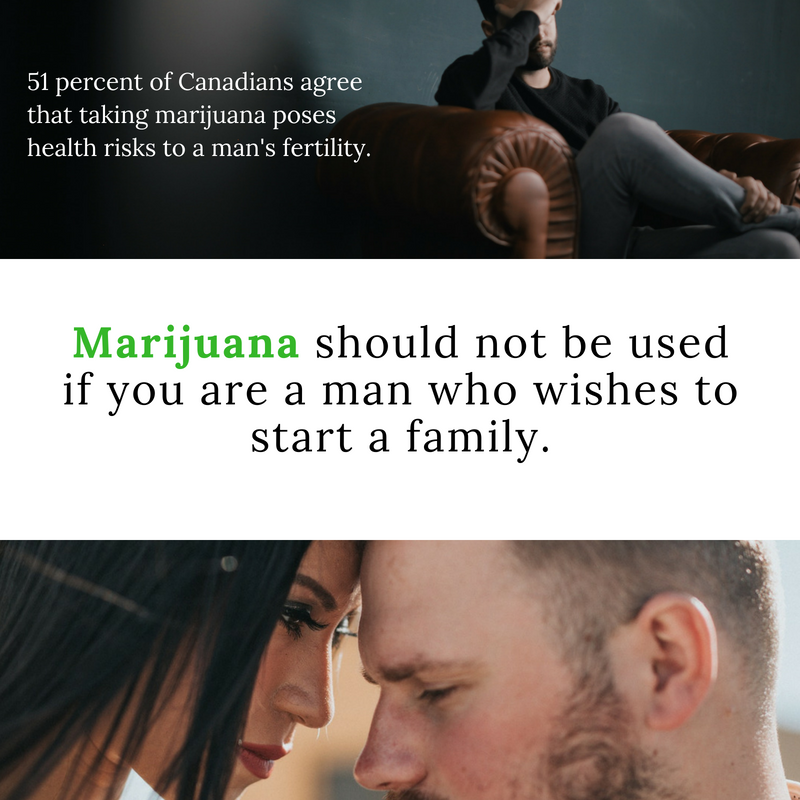 For years Health Canada has stated that “marijuana should not be used if you are a man who wishes to start a family…long term use may decrease sperm count, concentration and motility, and increase abnormal sperm morphology.” RIWI found roughly half of respondents (49 percent) agreed with this finding, yet the other half (51 percent) were unaware of the adverse effects. 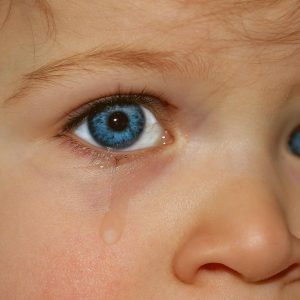 Smoking marijuana complicates a couple’s attempt to have a child, there’s no doubting this fact.